Home/When Does Whole-House Remodeling Make Sense? What do you do if you’re happy with your home’s location, but the house no longer meets your needs and it looks and feels outdated? Maybe you’ve considered moving, but you love your neighborhood… and moving has many hidden costs and risks. In a moment of frustration, you may have threatened to tear the house down to the foundation and build a new home in its place, but you know that would be a huge undertaking. So, is there another option? 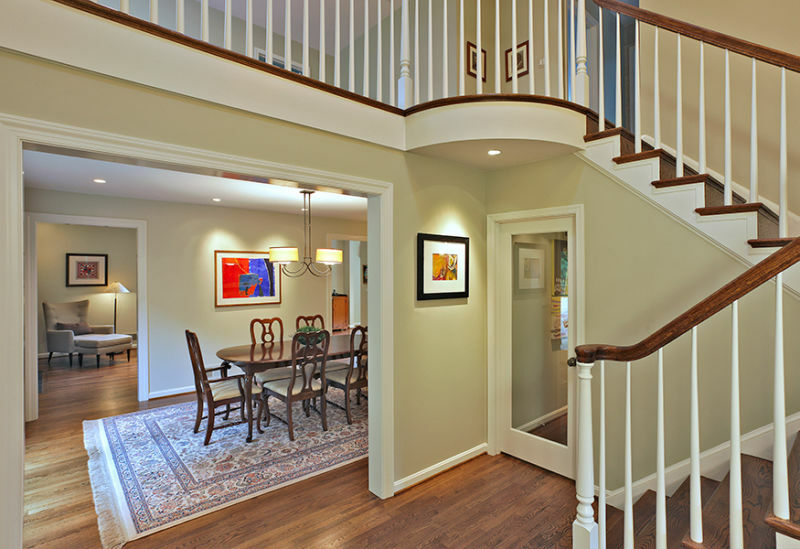 Many times, whole-house remodeling is by far the best solution. There are two general types of “whole-house” project approaches (and many variations in between). Your home layout and size are fine, but the house is older and needs major work. It may need electrical upgrades to make it work for a 21st century lifestyle. Or the house might just be tired-looking and out of style with today’s trends. This is when a whole-house update is appropriate. The project can leave all the walls, windows and appliances in the same locations, but focus on style updates to several rooms. The kitchen gets new cabinets, counters and flooring, the bathrooms freshened up with new tile and fixtures, and perhaps the basement is finished to finally give you more storage and living space. You can also restore the exterior of your home to its original beauty or update its curb appeal. Better insulation, longer lasting, low-maintenance materials and energy-saving heating and cooling systems can make the home more comfortable and energy-efficient. If the home’s layout is not appropriate for your lifestyle anymore, the basic structure can be used to remodel the house into the home you need today. 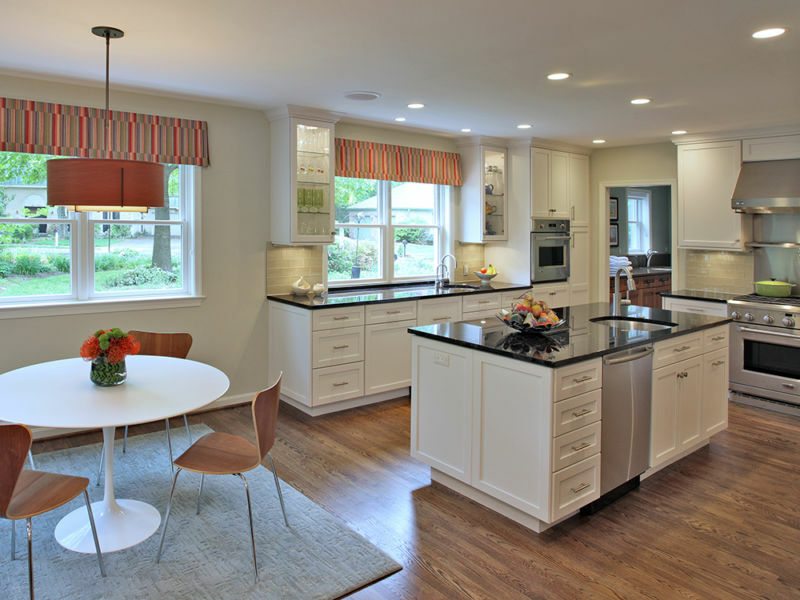 This is what is meant when it’s said a house has “good bones.” You can make the home larger with an addition, reconfigure the layout of rooms, move the location of kitchen appliances and bathroom fixtures, and change the look dramatically, if you want to. Tear down and move walls, open up spaces, upgrade your wiring, heating and cooling systems, make your home greener, more energy-efficient and healthier to live in, and more. And even though it’s called “whole-house” remodeling, you can update the rooms that need it while leaving other parts of the house alone. The cost and disruption of whole-house remodeling is less than tearing down and starting all over or moving. 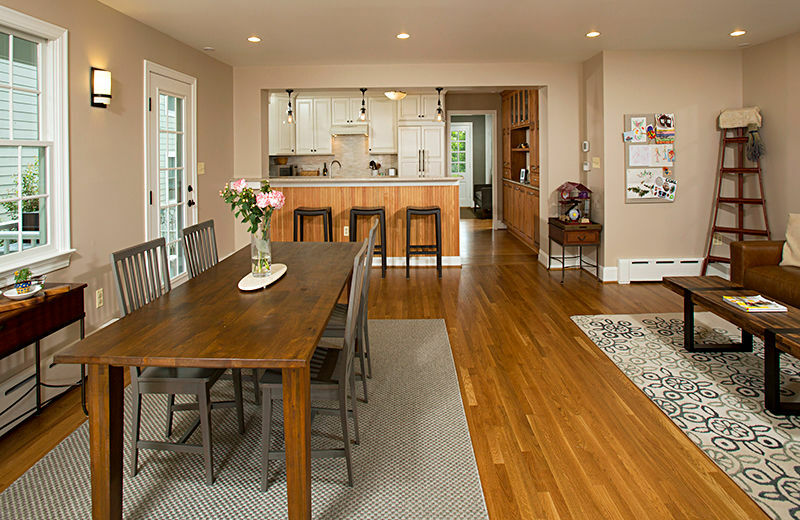 In some cases, remodeling also allows you to do things that you may not be able to do if you were to build a new home – because of how zoning, building codes, and grandfathering of major-remodeled homes are handled in certain jurisdictions. 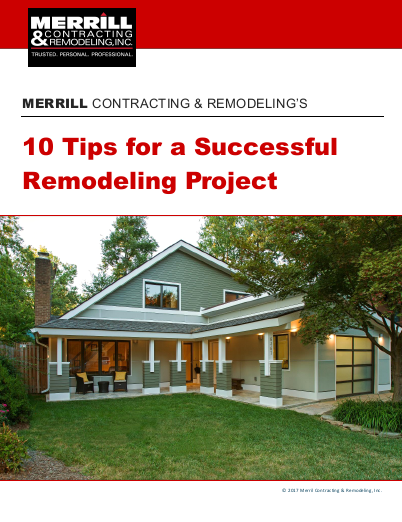 Whole-house projects are more complex than single-room remodeling projects, such as a kitchen remodel or a bathroom update. You don’t want to trust a project like this to just any remodeler, one who has no experience with major, multi-room remodeling projects. Whole-house projects take more know-how, better planning and more project management than other, smaller types of remodeling projects. If you are trying to figure out if you should move, rebuild, update several rooms or remodel and reconfigure your entire home, please give us a call. We have the experience to help you determine the pros and cons of each approach and explore with you some of the possible solutions, so you can love your home again.